Great list. Been trying to find more information on local search and these should keep be busy today. Thanks. Wow, thanks for the recognition Phil! I myself have been inspired numerous times by your articles, so i should definitely be the more thankful one here. Thanks for stopping by, and for the great posts you do! 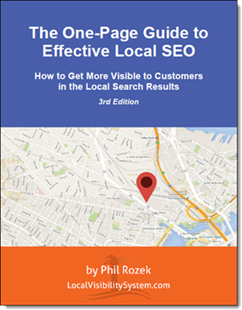 Thanks for publishing this great list of resources on local SEO. A few of these I was aware of — most of them are new to me. I’ll have some great reading to do this weekend! Thank you. Yes, there’s definitely some good homework here. Thanks for your compliments. Enjoy! Don’t know what to say other than thank you. Same goes for me as Nyagoslav, your articles have inspired many of my posts. No problem, Mike – thank you. That post was too full of awesome. I’ve seen a lot of other real keepers on your blog lately.